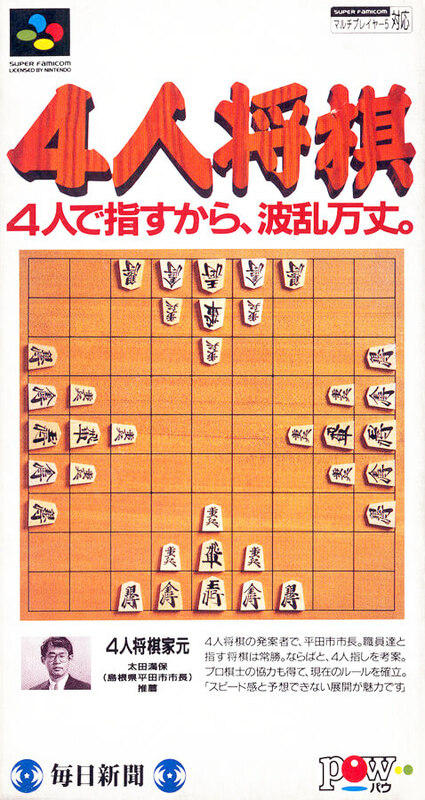 A shogi game where 4 people can enjoy at the same time. The purpose is to use the five kinds of pieces of king general flight gold generals, silver general, infantry, to pack the opponent's general. The way to move pieces is not different from ordinary shogi, the order proceeds clockwise.